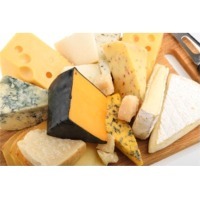 Browse cheese suppliers by country and region. We have goat, sheep, cow and also mixed cheese. They can be fresh, cured or semi-cured. Very good quality in very easy to sell formats (between 500 and 1100 grams). 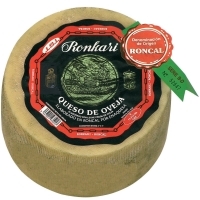 Cheeses made in Spain with the best milk and designation of origin, at very competitive prices. Short on time? Let cheese sellers contact you. 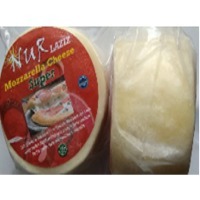 Nur Laziz Mozzarella Cheese is 100% Pure and testy. It is made by Cow Milk. HS Coad- 04069000. Our quality better than other. Mozzarella Cheese is Frozen Item Should be 18 ?c. Price per 1MT $10000 Shipping Term FOB Chittagong. Payment term L/C or T/T. Origin Bangladesh. 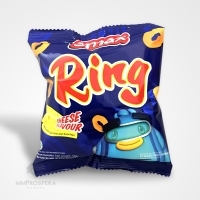 Energy: 285 Kal, Protein: 24 gm, Fat: 9 gm, Calcium: 522 mgm, Sodium: 480 mgm, Potassium: 50 mgm Vitamin: A, D, E, K. Minimum Order quantity should be 1MTor1000 kg, Packaging should be 4 pc Ball per kg. Every ball +-250gm. 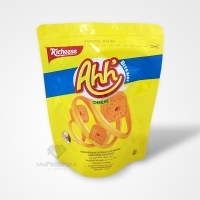 Per Carton should be 10kg and as per buyer requirement. Nur Laziz Mozzarella cheese made by cow milk. it is collect the dairy farm. it is 100% pure and fresh. It is frozen item. always 18 Cg. Clarified butter ghee amf, full cream whole milk powder, skim milk powder, infant milk powder, toddler milk powder, student milk powder, pregnant women milk powder, elderly milk powder, uht milk in tetra pack, non-dairy creamer, foaming powder, whipping cream powder, yogurt powder, cheese powder, fat filled milk powder, butter fat powder, condensed milk powder, starch sugar products, pudding powder, milk topping powder, milk shake powder, soft ice cream powder, egg cake powder. Skimmed milk powder, rice, wheat, pulses, chicken eggs, desi ghee, butter, cheese, edible oils. CHEESE Fat Content (%): 45 MAX Cow's milk made 100% real Mozzarella Cheese Fresh Mozzarella Cheese Shredded 100% made from cow's milk General Specifications FINISHED PRODUCT ANALYSIS: A. Moisture 45 - 50% B. Fat on Dry Basis 30 - 44.5% C. Salt 1.5 up to 2% D. pH 5.1 5.4 E. Color Creamy White MICROBIOLOGICAL STANDARDS: A. Coliform/gm PHYSICAL STANDARDS: A. Shredded low moisture part skim mozzarella shall have a mild delicate buttery to slight acid flavor. B. Unacceptable flavors are fruity, sour, malty and metallic. Different cheese , cheese products, eggs , milk , margarine , butter, milk products.